Louis Pettinelli was named the recipient of the 25th annual Rhea Eckel Clark Citizenship Award at the CNY RPDB’s annual meeting held on December 15, 2010. Born in Rome, New York and a long time resident of the Brewerton community, Mr. Pettinelli received a Bachelors of Science and Masters Degree in Physical Education from SUNY Cortland and began his professional career in Central New York working in the Central Square School District where he taught, coached, and later directed health and physical education. Following a lengthy tenure at Central Square, Lou joined the Oswego County BOCES where he rose to the position of deputy superintendent and executive director of human resources before he retired in 2003. In addition to his full-time work, Lou has spent the past forty years of his life in various community service and volunteer positions. Most notably, Lou has served since 1978 on the board of directors of Operation Oswego County - the county’s designated economic development organization. In addition, he has served on the board of directors of the county’s Private Industry Council and Workforce Development Board. On a regional level, former governor Mario Cuomo appointed Mr. Pettinelli to the Central New York Regional Economic Development Council. Lou has also served on the board of directors of the CNY RPDB. Throughout these many years of community service, Lou also found time to serve as a representative for the NYS Wrestling Officials on the NYS Public High School Official Coordinating Federation. 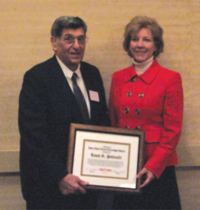 Mr. Pettinelli has been recognized with numerous awards throughout his career including the National Federation of State High School Associations distinguished service award, the Martin Rose Economic Developer Award by Operation Oswego County. He has also been inducted in the NYS Wrestling Coaches Hall of Fame and the Cortland State “C” Club Hall of Fame. The CNY RPDB has selected eight municipal governments to participate in the Central New York Climate Change Innovation Program (c2ip) over the next three years. The municipal participants are the Cities of Syracuse, Cortland, and Oswego, the Towns of DeWitt and Preble, the Village of Skaneateles, and Madison and Cayuga Counties. Each participant will conduct a greenhouse gas emissions inventory and develop a climate action plan to reduce emissions, and will receive up to $30,000 towards the implementation of a demonstration project intended to reduce overall emissions. Participants will also be working with CNY RPDB staff to review municipal land use and policies to identify program or policy initiatives that could help to further reduce energy consumption and greenhouse gas emissions and save money. Participants will receive technical assistance from the CNY RPDB and financial assistance to join ICLEI Local Governments for Sustainability USA. Demonstration projects will range from energy efficiency upgrades to photovoltaic installations. A New York Main Street Program grant in the amount of $330,000 has been secured by the CNY RPDB for the “Pulaski Performing Arts Center Revitalization Project” in the Village of Pulaski. 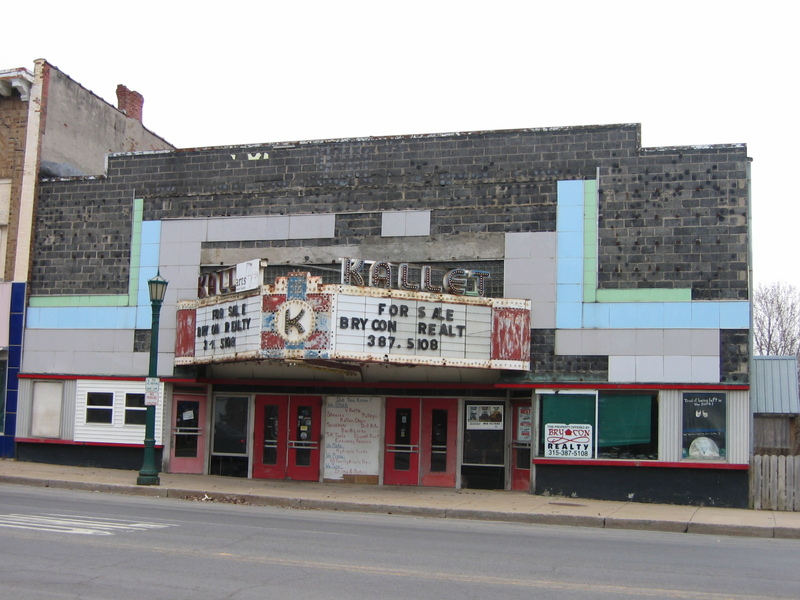 The grant will facilitate the revitalization of the Kallet Theater, a 7,400 square-foot, Art Deco building at the heart of the downtown business district. The 1938 theater will become the Pulaski Performing Arts Center, a regionally important, 400-plus seat multi-use events and conference space. 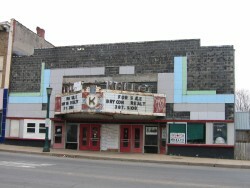 Although the building has been vacant and deteriorating in recent years, it is recognized by the State Historic Preservation Office as an important cultural asset and is listed on the National Register of Historic Places. At the heart of the Pulaski Village Historic District, the theater is well-positioned for rebirth as a center of cultural activity in the northern Central New York region. The CNY RPDB/SMTC team (left to right): Aaron McKeon (SMTC), David Kubek (CNY RPDB), Michael Alexander (SMTC), Ahmed Ismail (SMTC), Elizabeth Hassett (SMTC), Meghan Vitale (SMTC). The CNY RPDB and the Syracuse Metropolitan Transportation Council (SMTC) teamed up to participate in the J.P. Morgan Chase & Co. Corporate Challenge on Tuesday, June 22. 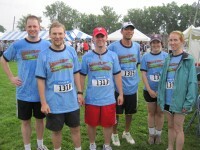 The 3.5 mile course was held at Onondaga Lake Park with a total of 6,790 participants from 259 companies. The co-winning t-shirt design, created by Sam Gordon (CNY RPDB). This is the first year that the CNY RPDB and the SMTC entered a team in the race, and our t-shirt design was selected as one of two winning entries. Proceeds from the award—$1000 from the JPMorgan Chase Foundation—were donated to the Food Bank of Central New York. The CNY RPDB has become one of the first regional councils in the U.S. to join ICLEI USA under the newly created regional affiliate category. ICLEI is an international membership association of local governments dedicated to climate protection and sustainable development. ICLEI USA, launched in 1995, includes a network of more than 600 municipalities, and is the domestic leader on climate protection and adaptation, and sustainable development at the local government level. Established as the International Council for Local Environmental Initiatives, the official name is now ICLEI-Local Governments for Sustainability. The CNY RPDB Energy Management Program will utilize its membership in ICLEI USA to enhance its service delivery to municipal governments by engaging in climate action planning and sustainability planning at the local and regional scales. The CNY RPDB Energy Management Program has worked with municipalities throughout its five-county territory to improve municipal energy-management practices, develop clean energy projects, and deliver public education programming to municipal constituencies. 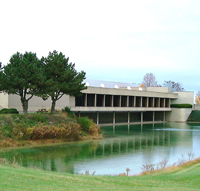 The Cortland County Industrial Development Agency broke ground on June 1, 2010, on the development of the Finger Lakes East Business Park in the town of Cortlandville. The CNY RPDB has been assisting the CCIDA with the development of this 150-acre business park over the past five years. The $4 million project involves site acquisition and the construction of an access road, public sewer and water facilities, a stormwater management system, and the provision of electric, gas, and telecommunication services. A majority of the construction activities associated with this project are scheduled for completion by December 2010. The Central New York Regional Planning and Development Board received nearly $500,000 in April 2010 from the US EPA Climate Showcase Communities program to provide financial and technical assistance over the next three years to nine local municipalities to reduce energy consumption and greenhouse gases. Each year, the CNY RPDB will competitively award sub-grants to three local governments to support energy efficiency retrofits, measures to introduce alternative-fuel vehicles and fueling systems, vehicle travel reduction projects, or transportation efficiency improvements. Those awarded sub-grants will be required to develop a climate action plan, apply for financial and technical assistance through programs offered by the New York State Energy Research and Development Authority (NYSERDA), and receive training on no-cost evaluation tools such as ENERGY STAR's Portfolio Manager. The program will encourage these governments to adopt community planning controls to support GHG emission reductions from local residents, businesses, and institutions. To help them meet these requirements, CNYRPDB will provide technical assistance throughout the process and publish a Municipal Energy Planning Guide to highlight case studies of projects funded through the sub-grants. In April 2010 the CNY RPDB completed work on a comprehensive study to assess progress made toward rehabilitating Onondaga Lake. The study was undertaken by contract with the U.S. Army Corps of Engineers in 2007. The CNY RPDB worked with the Onondaga Lake Partnership to identify remaining actions needed to address eight Strategic Areas of Concern as defined in the 1993 Onondaga Lake Management Plan. The study report contains a detailed list of recommendations and cost estimates for completing the lake’s clean up by 2015, in accordance with requirements of the Onondaga Lake Amended Consent Judgment. The CNY RPDB was awarded an American Recovery and Reinvestment Act planning grant through the NYS Department of Environmental Conservation in February 2010. The two-year grant will advance the use of green infrastructure to reduce existing water quality violations and drainage problems. GIS staff has been hired to assess the feasibility of successfully implementing green infrastructure controls at key locations within the Onondaga Lake watershed. The CNY RPDB will contract with design consultants to develop site specific, green stormwater control practices to enhance planned construction projects in each of the five CNY counties: Cayuga, Cortland, Madison, Onondaga and Oswego. 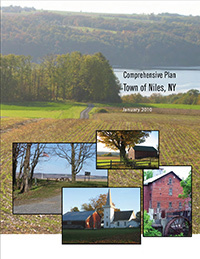 Research, facilitation of committee meetings, writing, mapping, and guiding the review process for the Town of Niles Comprehensive Plan was completed in 2009. The Comprehensive Plan was officially adopted by the town on January 11, 2010, and will guide the town in making decisions regarding its natural and cultural resources. In addition to an inventory of resources, maps and demographic information, the Comprehensive Plan is comprised of specific goals and recommendations to inform future land use and development decisions and address concerns specific to community needs, economic development, environmental protection, open space conservation and historic preservation.